The early days of fitness regimes always has the same roadblock; a lack of motivation. Whether you feel worn out from the first week, or you’re disheartened that you didn’t see results immediately, a lot of people find it difficult to get past a lack of fitness motivation when they first start working out. Most people encourage themselves to exercise with the promise of rewards, the satisfaction of seeing another goal met on a fitness app, or by asking a friend to be their exercise buddy. Having someone running alongside you, cheering you on, and pushing you to go further has worked for many people, but there is one exercise buddy that surpasses them all; your dog. Here are a few reasons why your canine friend is the best workout buddy you will ever have. 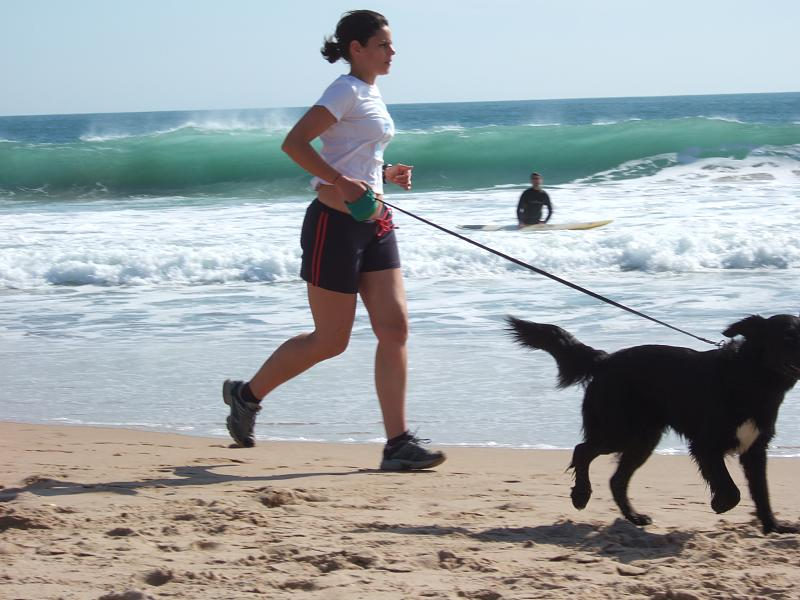 Whether you want to go out or not, dogs need to exercise every day to stay healthy. Dogs have a lot more energy than their favorite humans, and they need to get rid of the excess or they might start acting up. If your dog doesn’t use up their energy by going on walks or runs, they might start to take it out on the furniture, carpets, or the rest of the house. In general, dogs need around one or two hours of exercise per day, but this can vary depending on the size and breed of your dog, so you shouldn’t expect a Shih Tzu to give you as much of a workout as a Jack Russell Terrier. However, just owning a dog encourages people to go on more walks, thus increasing their active time for the whole week. There are daily dog exercise needs that are required to keep your dog healthy and strong. Once you get used to seeing the absolute joy on your pooch’s face when you mention walkies, you’ll get a better sense of his demeanour when he’s healthy. If he ever seems unenthusiastic about going for a run or playing fetch in the park, you’ll immediately know something is wrong - unlike humans, dogs don’t relish an off day from exercise. Weakness, lack of movement, and whimpering are all symptoms of pain and muscle problems, so take them to an animal chiro to straighten out their nerves and muscles into proper alignment. Regular chiropractic treatments can enhance their performance and avoid many surgeries in the future. Regular exercise is just as beneficial for dogs as it is for people, so by taking your dog running with you, you’re in fact being a responsible dog owner. Studies over the past twenty years have shown that maintaining lean body mass and aerobic fitness reduce risk of developing diseases such as type 2 diabetes, osteoarthritis, high blood pressure, cardiovascular diseases, kidney diseases, respiratory conditions, and many forms of cancer. Make it your goal to walk your dog (and yourself) at least 30 minutes each day to reduce the chances of developing these conditions. 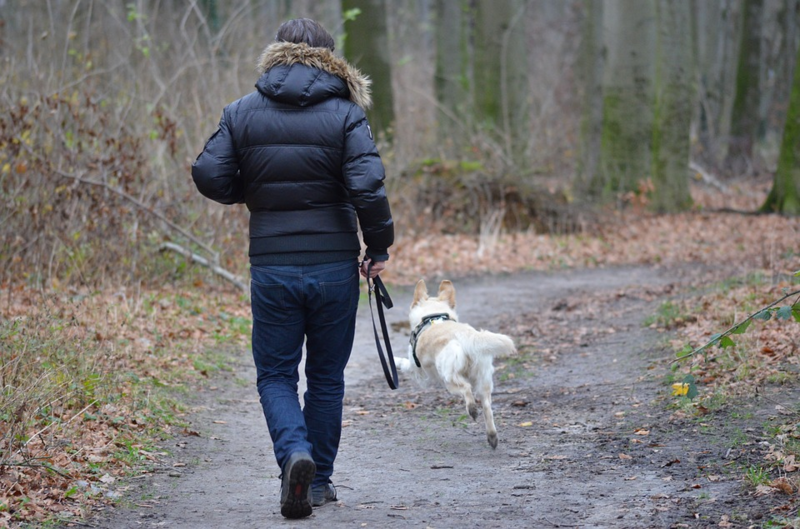 Most dog owners care more about their fur babies than they do about themselves, but by making sure your dog gets his daily exercise, you’re making sure you’re with him for years to come. Humans have lives and commitments, which sometimes get in the way of your plans to go for a run. It’s incredibly tempting to take a day off when your friend calls at the last minute with a family emergency or getting stuck at work. Your dog, however, will never cancel on you; he has no schedule to keep, he doesn’t need to be available in case of an emergency, and his biggest commitment is you. You also won’t ever have to wait for your dog to change out of his business clothes and into his workout gear. He is always ready to go when you are. Another bad thing about exercise is that it doesn’t feel enjoyable while you do it; unfortunately those pesky endorphins don’t kick in until after the whole workout is complete. It’s not so bad when your running buddy is in a good mood and is trying to cheer you on, but if you’re both not up for it and just complaining endlessly, then it stops being fun for either of you. Not only do dogs never complain, but they love running. 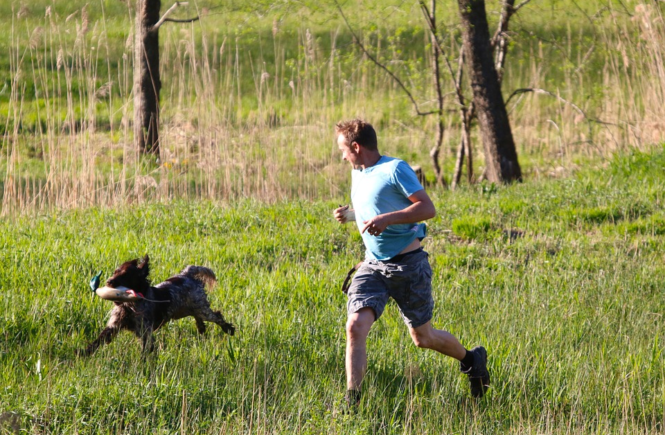 They’ll run next to you, wait for you to catch up if you’re lagging behind, and vary their speed to give you the full benefits of a cardio workout - although they’ll just think they’re chasing after a rabbit. In fact, your dog loves running with you so much that he’ll be jumping for joy with his tail wagging the second you get his leash out of the drawer, or he sees you putting on your trainers. Once you get into your stride, you’ll notice that exercise reduces your stress, boosts your confidence, and fights off depression. It has similar benefits for your canine friend. Dogs that are constantly cooped-up indoors need environmental stimulation to remain physically, mentally, and emotionally healthy, so taking them for walks provides them with similar stress relief. They’ll stop attacking the furniture, howling at all hours, and getting aggressive. Exercise is the best treatment for separation anxiety. With kids, you can easily disguise exercise as playtime, but that little lie wears off once it stops being acceptable to go out and play with your friends. However, playing fetch with your dog recaptures the thrill of playtime, while still burning off calories. By distracting yourself and not thinking about working out, you won’t be constantly checking your watch to see when that 30 minutes is up. Why spend hundreds of pounds a year on a gym membership and a fitness instructor when you can run around fields with your dog for free? Your dog won’t even need expensive toys to keep him entertained; just a tennis ball or stick for him to fetch and he’ll be the happiest pup in the world.